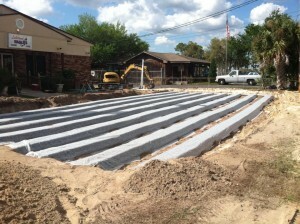 We hope you’ll turn to us for your drain field installation needs in Polk City, FL. When it comes to septic system design and drain field installation, you want to make sure that you hire a company that knows what they are doing. In Polk City, FL, that means hiring Southeastern Septic LLC. We have many years of experience with all kinds of septic services ranging from septic system design to septic tank maintenance and drain field installation. Simply put, we are the best in the business. A septic drain field consists of a network of perforated tubes and gravel that helps to further separate wastewater after it has gone through the septic tank. In order for your drain field to work properly, it needs to be installed in the right location compared to the septic tank. At Southeastern Septic LLC, we understand the ins and outs of septic systems and guarantee that your drain field installation will be performed correctly. When you hire our team at Southeastern Septic LLC for your drain field installation, you can rest assured that you will be working with a highly skilled and expertly trained group of professionals. We guarantee that we will see your project through from start to finish, ensuring the maximum degree of efficiency and affordability. After we have installed your drain field, we encourage you to have your septic tank pumped every three to five years to keep it working like it should. Not only do we offer this kind of service; we also handle emergency repairs, should you ever need them. 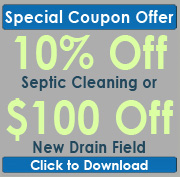 Please contact us today for more information about drain field installation or any of our other septic services. If you are in need of drain field installation in Polk City, Auburndale, Bartow, Zephyrhills, Lakeland, Mulberry, Polk County, Winter Haven, or Plant City, give Southeastern Septic LLC a call today!